IWTYAL 165: What is the ideal language learning environment? It might seem perverse to pay someone to help you while you're in France, but it might be a smart move. Welcome, I'm very happy to have you here. My name is Olly in case you are new here and I've dedicated most of my adult life to language learning. I've studied 10 languages, I speak half of those pretty well, the other half not so well. But I've spent over 15 years doing it. So, I've learnt quite a few things along the way. And on this podcast, I teach you the things that I have learnt about how to learn languages quickly. So, I hope you enjoy it. Now it has been a bit of a theme recently on the podcast all about travel and language learning and how it affects the learning process when you move abroad to study. And todays question is really good and very timely because it comes from someone who has actually moved abroad in order to learn a language but is not finding it so easy. Before we get to that question I'd like to thank the sponsors of the show, italki, and it’s the place where I get all of my language lessons. 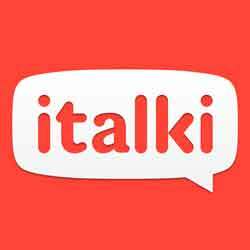 If I want to get a bit of language practice for half an hour or an hour I contact my teacher on italki, set up a lesson and have that opportunity to speak. If you would like to get a free lesson you can go to iwillteachyoualanguage.com/freelesson. Now let’s hear from Sonia. This question from Sonia is quite long, usually I would edit down the questions. But in this case although it is quite a long question I think it really helps to paint the picture of what Sonia is going through. So, with that, here is her question. Sonia: Hi Olly. I'm Sonia. Originally, I am from China but currently I am studying in France. I have a question for you. What is the best situation to learn language for you? Personally, I used to think that, for me, the best situation to learn a language is to have a basic knowledge of this language and then not like a certain level of this language and then put myself directly to a native speaking environment. So, for the past four years, after I found my great passion in language learning and making connections, I put myself in an English speaking class for almost two years and a Japanese speaking class for more than half a year. And then since this February I put myself in French speaking masterclass in France in a city called Nant, which is a lively but small city in France. I felt I met a huge difficulty when I try to integrate myself in a French speaking environment. The difficulty I found is like in the beginning I thought it’s better to stay in a small city in France rather than Paris because there will be less international people and I will have more chance to practice my French. Firstly, my French level in the beginning may be was too low and I wasn’t taking a French class in France. So, I directly went to the master. And then the situation was like all the time I see people around me talking in a group and then I feel hard to interrupt them because firstly most of time I'd already understand them. Because you know when native speaker talk with each other it is very difficult to understand. And I don't know how to interrupt them and then gradually I felt a shame over myself that I don't want to interrupt them. And it’s also strange to say that I live in France but I don't have lots of French friends, but I feel difficult. And to now I feel difficult to break this negative environment. Maybe I might wrong, is it not the best situation to learn a language? Olly: Thanks for your question Sonia. I want to dive in because you asked right at the end it feels strange that you are living in France but you don't have any French friends. Let me tell you, there is nothing strange about that. It is completely normal, in fact, I would say it is actually normal. It is to be expected. The number of people who I have met who have lived abroad and never make native friends of the country that they go to. Or if they do those friends are usually native speakers. The curse of the English speaker, for example, because everybody speaks English these days. So, for an English person to go to say Japan, it is totally normal to have no Japanese friends other than a few Japanese people who speak really great English and want to get more practice. And so, you can have friends who are native speakers but your relationship is in English. It’s a difficult subject and what you are dealing with now Sonia is the reality of real life. That is a tautology isn’t it, you are dealing with real life. There is no such thing as the ideal or best language learning environment. I think a lot of us fall in love with language learning and when we fall in love with language learning because there is one particular event that happens. For me the reason that I fell in love with language learning was because I was 19 and I was working in the cafe in London and all of my colleagues were from different countries, like France Sweden Italy Spain. And I thought, “Wow, how cool would it be if I could speak to them in their languages”. That was like the moment for me when I suddenly developed this passion for language, what turned in to a passion for language learning. Now after that I had a couple of particularly good situations that allowed me to learn a language quickly. So, when I was in France, for example, I had a French girlfriend who would help me learn French. When I moved back to London one of my best friends was Spanish and his English was crap so he helped me learn Spanish. And I was successful largely because I had the ideal for the perfect situation. Someone which I think in language learning the closest you can get to an ideal situation or an ideal language learning environment is to have someone who is close to you, a close personal friend or relationship which takes place in the target language. That is as good as it gets, right? Now when you get out of the kind of ideal dream like situation of language learning you are faced with the real world. I have got to say, for so many of my trips abroad the biggest issue has not been that the language is hard. The biggest challenge has been something else, usually to do with the people around me. For example, I have just been in Hong Kong for two months. I loved it, I had a great time. But it is not easy to learn Cantonese in Hong Kong because most educated people speak English, they are essentially bilingual. Which makes it very very hard for you as a kind of lower level Cantonese learner to get practice, you are always struggling against that. In your situation, Sonia lets be really honest. The reason that you don’t have French friends is the same reason that people come to the UK and don’t have any English friends, which is completely normal. It happens because native speakers don’t really care. It sounds harsh but on the whole native speakers don't care enough to spend time talking to you slowly so that you can understand because that is all for you benefit. And native speakers, people are busy. They have real lives, they are generally in a lot of places not particularly interested in other countries and cultures. Now I'm not saying that France is particularly like that. But if you move to a small town in another country on the whole people are not going to be interested enough to be what you would call in teaching terms, “A sympathetic listener”. So, when you are in the groups of people you are talking about, like you were saying, it is difficult to interrupt. It is difficult to take part in the conversation. There is one reason from your side is that your French is simply not strong enough yet. And the key word is “Yet” because it will be and it obviously takes time. Learning to speak a language is heavily linked to what we call affective factors and an affective factor is something that relates to your feelings and how you react to the environment around you. If you study teaching you learn that it’s very important to make your students feel comfortable in the classroom, feel at ease, feel happy. With you as the teacher and with other students. Because that affects how they learn. I can see that you are quite an analytical person Sonia. You are like me, you're kind of looking at it and you are thinking, “Okay, if I put myself in the ideal language learning environment I will learn French really quickly”. And you have probably concluded that complete immersion is the most efficient way to learn. But here is the thing, it only works if you are happy in that environment. Like I said before, in my language learning story the success that I have had has been heavily linked to my environment. So, for example, my best friend who was Spanish here in London helped me learn Spanish really quickly. But when I moved to Japan I was kind of lonely and isolated there and because of that I didnt feel like studying and so I didnt do much study and I didnt progress very far. Your feelings and how comfortable you are, are crucial to your progress. It is not just a kind of scientific question that this environment is the best therefore I will learn faster. You can learn very quickly just studying in your bedroom at home, if you want to if that suits you. So, when I learn languages now the question I ask myself is how does this language make sense in the lifestyle I currently have and I currently enjoy. To give you another example, when I was in Hong Kong over the new year I found it quite difficult to get any work done. Because I didnt have an office space, I didnt have a good space to work. I was kind of working out of Pacific Coffee in the place that I was living and that is not great to concentrate on work. So, because I wasn’t getting much work done, that had a knock-on effect on my language learning which wasn’t so good. So, all these things matter. Now if your French is still at a low level then the simple fact is that you still have to study a lot. You have a lot of work to do still on your French. But you knew that when you went to France, that was your reason for going to France. Now you can do this in a few ways. You can do this naturally through speaking with people and eventually you will make progress or you can do it through more traditional study by sitting down at home with a textbook. Or some kind of combination of those two things. Now you have chosen to go and isolate yourself in France and it is kind of a big gamble. And you and your personality and your attitude will determine whether you succeed or not. I have known people who, for example, have moved to Japan or moved to any other country and they can be the kind of person that is very extroverted. They might not be very good at the language but they will just jump in a conversation and practice, they don't care. They just don't have these kinds of social inhibitions. And those people can learn a language very very quickly because they just don't care what people think, they don’t care if they make mistakes, they don't care if they get it wrong. Sonia, I think you're probably not like that. I'm also not like that. That kind of situation does not work for me. I much prefer to create the ideal learning environment in a place that is comfortable for me. So, the question for you is not is this the best way. The question for you should be, is this the best way for me. And you have to answer that question for yourself. Now, I don't know what your commitment to staying in France is, but what I would say is when you look forward over the coming weeks months or years, don't be afraid to follow the path that makes you happier. Because life is about more than language learning and i guarantee you that the happier that you are, the better your language learning will be as a result. In your specific situation, my advice to you would be probably accept the reality that interacting socially is hard right now, possibly on a cultural level, but definitely on a language level. And I would look for a language partner locally or a tutor on a service like italki who can help you get dedicated practice. To improve your French right now you have got to get dedicated speaking practice in order to build up your confidence. It is as simple as that. Personally, what I would probably do, if I can’t find a language partner, I would actually hire someone on italki to get daily practice speaking French. And it might sound perverse to pay someone to do that when you are in France, but I think it might be the smartest move for you. So, listen, good luck. I really hope it works out for you. Let me know how it goes. If you would like to ask me a question you can go to iwillteachyoualanguage.com/ask to do that. Now I am going to leave you with a quote today which is think is quite relevant. And it is from Hermann Hesse, and he said, “I have been and still am a seeker. But I have ceased to question stars and books. I have begun to listen to the teaching my blood whispers to me”. I really like that quote. If you would like to see that quote written down or if you would like to read a full transcript of today’s episode, please go to iwillteachyoualanguage.com/episode165 there you can also leave a comment with your advice for Sonia to let her know what you think she should do in her situation.